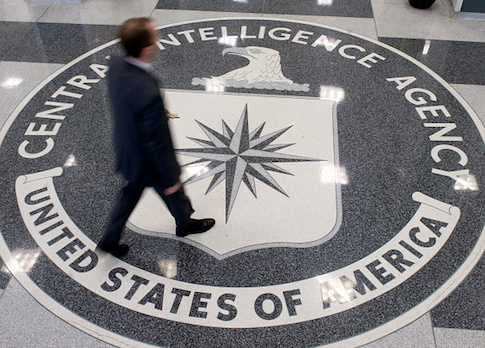 A former CIA operations officer has been charged with mishandling secret information about recruited CIA agents, the Justice Department announced Tuesday. The former case officer, Jerry Chun Shing Lee, also known as Zhen Cheng Li, was arrested by FBI agents at New York's John F. Kennedy Airport on Monday as he returned from his residence in Hong Kong, the department said in a statement. Court documents in the case indicate Lee was under FBI counterintelligence surveillance since 2012, when agents secretly searched his Honolulu hotel room and found two books containing secrets about recruited CIA "assets." Lee, 53, is a naturalized U.S. citizen living in Hong Kong. He served in the Army from 1982 to 1986 and graduated from Hawaii Pacific University in 1992. He joined CIA in 1994 and according to FBI Special Agent Kellie R. O'Brien, was trained in "methods of covert communications, surveillance detection, recruitment of assets, handling of assets, payment of assets, operational security, and documenting, handling and securing classified information." O'Brien was the FBI counterspy who wrote the criminal complaint filed in federal court Jan. 13 and unsealed Tuesday. Lee also held a top-secret security clearance and had access to sensitive compartmented information—secret information used to protect intelligence programs. In August 2012, Lee moved from Hong Kong to northern Virginia and during a layover of several days in Honolulu FBI agents conducted a search of his hotel room and photographed two small books, a datebook, and an address book. "The photographs of the books were reviewed by a CIA classification authority who determined that the books contained classified information," the FBI criminal complaint said. The 49-page datebook "contained handwritten information pertaining to, but not limited to, operational notes from asset meetings, operational meeting locations, operational phone numbers, true names of assets, and covert facilities," the complaint stated. The address book also held the true names and phone numbers of assets and covert CIA employees, as well as the addresses of CIA facilities. The Justice Department press release and the criminal complaint did not say if Lee was spying or whether the case is linked to China, other than his residence in Hong Kong, a special administrative region of China. A CIA spokesman declined to comment. A Justice Department spokesman had no immediate comment. The arrest appears linked to the ongoing U.S. counterintelligence probe into how the Chinese government systematically crippled CIA agent networks inside China. In May, the New York Times reported the Chinese government had unraveled all CIA spying operations in China beginning in 2010. The report, quoting intelligence officials, suggested the loss of the agents was the result of a retired Chinese-American CIA officer who spied for China. The report said the man, who was not identified by name, continued to live in Asia with his family and was lured back to the United States around 2012. The newspaper reported that the Chinese killed or imprisoned 18 to 20 of the CIA's sources in China. The newspaper said the CIA counterspies had focused on "a Chinese-American who had left the CIA shortly before the intelligence losses began." "Some investigators believed he had become disgruntled and had begun spying for China," the Times reported. "One official said the man had access to the identities of C.I.A. informants and fit all the indicators on a matrix used to identify espionage threats." Lee appeared in federal court in New York City on Tuesday. He was charged with unlawful retention of national defense information. If convicted, he faces a maximum sentence of 10 years in prison. The case is being prosecuted by Assistant U.S. Attorney Neil Hammerstrom of the Eastern District of Virginia. Hammerstrom prosecuted the case of Pentagon official James Fondren who worked at the Pacific Command. Fondren was convicted in 2009 of passing classified information to a Chinese agent. This entry was posted in National Security and tagged China, CIA, FBI. Bookmark the permalink.